Oh Crikey, I Forgot to Buy Milk! The first item on today’s agenda, as always, is Coffee. All was well until I realised I forgot to buy milk while I was downtown last night. Crikey – because I forgot to buy milk, there would be no coffee! And anyone who knows me well, knows that I HAVE to have my coffee, first thing in the morning. The only thing to do, of course, is walk across the road to Re Cafe Nate and indulge in the best coffee on the planet. And the only problem with that idea is that one coffee leads too easily to another. Suddenly, the big hand on the clock has completed a few too many circuits around the clockface. So now you are staring down the barrel of the afternoon, long before you’ve completed the morning tasks. This is not looking good. The photos for the article I am writing will have to wait. Which means, the words to go with the photos will also have to wait. And so the day progresses – constantly playing catch up. Does it really matter if I don’t get everything done? Isn’t that what I signed up for when I retired? Shouldn’t deadlines be a thing of the past? It seems nothing has changed. Even though the deadlines are not set by an authoritative external body, the plans I make are meant to keep me on track, as any deadline is. I guess it doesn’t work any better now than it used to. It’s All Because I Forgot To Buy Milk! 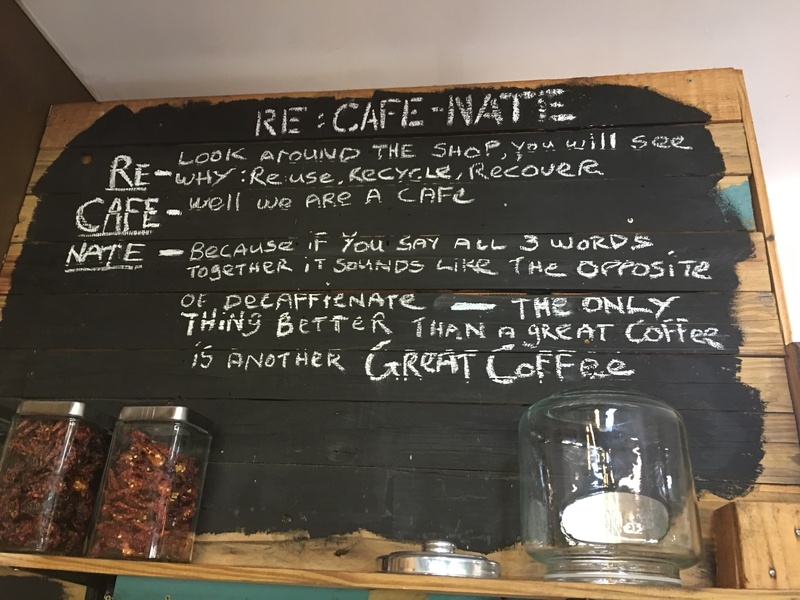 But the upside is, I met a friend at Re Cafe Nate and together we solved the problems of the world – well – at least our tiny part of it. Gotta go – need to go downtown and buy milk. Don’t want a repeat of today….